Owning an RV or Motorhome may seem as a nice way to travel through a country and spend literally nothing on accommodation but few people are aware of problems that can creep up with these vehicles. Yes, there are roadside assistance services that cater to RVs alone but they too cannot help you in everything. Most of these assistance companies will provide a basic cover that entitles you to mechanical repairs strictly associated with the car. Anything to do with the kitchen faucets, bathroom blockage is your own headache. Roadside assistance companies usually spell out what they will and what they won’t cover. The first thing that they cover is called mechanical first aid. This includes repairs to any mechanical part that is otherwise causing the vehicle to falter at start up. Replacement of parts is not inclusive of the deal. Next, they cover tire and battery services. This means fixing flat tires and replacing them, attempting to recover a broken battery by charging it or using a booster battery and anything else that is remotely related to tires and batteries. Other services that require payment include towing and lockout. When your RV is determined to have a major problem, the assistance crew will tow it to the nearest garage and charge a fee depending on the distance travelled. They can even assist drivers by breaking into the vehicle in case one accidentally locked the keys inside. However, since this is a mistake by the driver, it is usually charged. In case your RV stops responding and you need immediate repairs, then send in a request for assistance. As long as the problem is related to any of the above stated issues, your assistance service crew should be able to get you on the road in no time at all. Basically, anything that has got nothing to do with the vehicle running is not covered under RV assistance schemes. For example, a broken faucet that is leaking water does not come under their coverage. Even if you call on assistance, they will do nothing for you. Some other situations where the owner has to do repairs or take the vehicle to a RV garage are broken water pump, leaky faucets, burst water pipes, clogged drains, cracked windows, broken or cracked roof, faulty indicators etc. According to RV assistance companies these are interior issues that do not hinder the running of the vehicle. Hence, these problems are excluded from most policies. 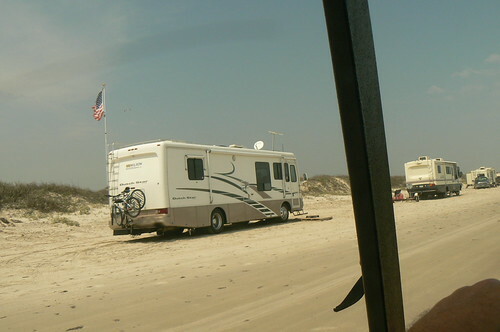 To get around such problems hire RVs from reputed rental agencies when on vacation. And if you are the proud owner of such a vehicle then take online courses or watch tutorials on how to fix different problems. You never know when these might come handy. Moreover, travelling in an RV is akin to having a moving home. Problems that one usually faces at home are just too common on the road. Moreover, many RVs are actually reconstructed out of large vans or pickups. Hence, structural and plumbing problems are all too common with these vehicles. Unfortunately, you can never depend on roadside assistance for these worries. Simon Jackson currently works as a specialist in one of the largest providers of roadside assistance in Denmark. He really enjoys writing and shares useful tips about what you should expect from good roadside assistance (interesting to know is that the Danish term is Hvad kan du forvente af god vejservice) in various popular blogs.